The Flex PE8-4 80mm polisher is perfect for small panels, hard to reach areas and is a lightweight machine capable of getting the job done. 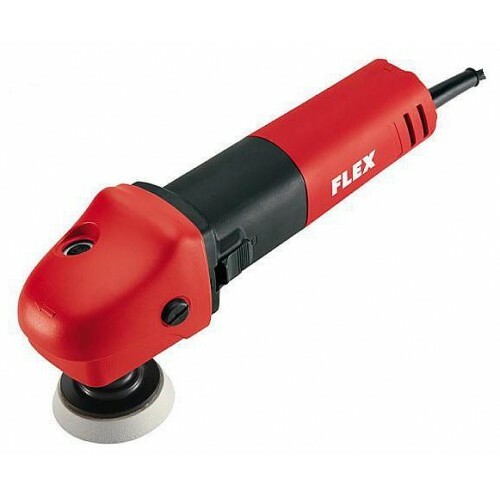 The FLEX PE8-4 80 Mini Rotary Polisher is a purpose built Rotary Machine Polisher which is perfect for small panels, hard to reach areas and is a lightweight machine capable of getting the job done. As the PE8 is a smaller polisher than its big brother the Flex PE 14-2 150, the PE8 makes polishing ideal for spot repairs, small bumpers, above door handles and a like. The Flex PE8 is a smooth yet powerful mini rotary polisher, easy to use and effortless when spot polishing in small areas. The Flex PE8 is a must for your Automotive Polisher collection. When the bigger Flex machines with smaller backing plates may be to heavy when polishing smaller areas - this is where the Flex PE8 really stands out! Struggling to see what your polishing with the bigger Flex machines, switch to the smaller PE8 and get the job done quicker and easier! A purpost built machine polisher that will become your best friend in your collection. The quality Flex PE8 is perfect with the combination of 1", 2" and 3" polishing pads. Built with the Auto-Shut down feature which means when the carbon brushes tend to wear down the machine shuts down to avoid any damage to the machine which what makes Flex Polishers stand out from the other brand of polishers.